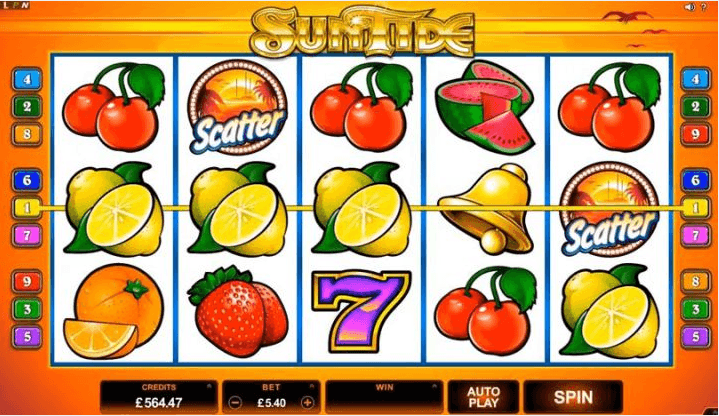 SunTide powered by Microgaming is a 5×3 reel, 9-line game that will surely become an all-season favorite. Spin in the sunshine with a minimum bet of only 0.10, reach incredible rewards of up to 75 000.00 and get awarded with amazing wins. Capture the essence of a true tropical paradise, where the reels are heating up and the temperatures are rising. Follow the sun to unforgettable rewards, jump into SunTide and discover all the amazing features as Expanding Wilds, Free Spins, bright Scatters and medallion Wilds.